Neste will deliver renewable diesel to San Francisco Bay Area Super Bowl 50 Host Committee for the electricity production at the Super Bowl City fan village, reducing the fuel carbon footprint by 50%. The Host Committee's Fan Express transporting fans to and from Game Day will also fueled by Neste’s renewable diesel. As part of one of the world’s biggest sporting spectacles, the Super Bowl 50 Host Committee has been planned with a focus on creating a “Net Positive” event. This Net Positive commitment recognizes that, as well as reducing negative environmental impacts, the whole event should also pay more attention to enhancing the environmental, social and economic positive effects of both individual and collective activity. Arranged between Jan 30th – Feb 7th in the San Francisco Bay Area, Super Bowl City, the free-to-the-public event aims to reduce its impact on climate change by delivering a low emissions event with a focus on transportation and temporary power. “It’s great that Neste can help the Super Bowl 50 Host Committee to create a sustainable event of spectacular size. We hope that the cleaner air and transport will make the event even more enjoyable for fans,” says Kaisa Hietala, Neste's Executive Vice President of Renewable Products. 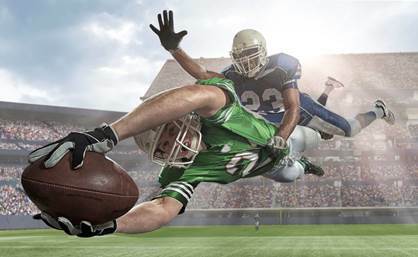 Neste is an official sustainability partner of the Super Bowl 50 Host Committee. As the event’s supplier of renewable diesel, Neste will deliver renewable diesel to power the Super Bowl City fan village. In addition, a Fan Express charter bus system will run on Neste's renewable diesel. Outdoor events often require building a temporary power grid and bringing in heavy diesel generators. As an alternative for producing greener electricity, Neste’s renewable diesel is the perfect solution. All generators used in Super Bowl City will run on Neste’s 100% renewable and sustainable diesel, reducing emissions and improving air quality. EPA Tier 4 generators will be used to reduce emissions and noise. Produced from wastes and residues, Neste’s renewable diesel will help to reduce the fuel carbon footprint of Super Bowl City by approximately 50% compared to petroleum diesel. Also, renewable diesel is a more pleasing alternative to people attending the event since it does not produce any of the unpleasant exhaust fumes generated by ordinary diesel. The Super Bowl 50 Host Committee has set up a “Fan Express” charter bus system to transport fans from the Bay Area to Levi’s stadium in Santa Clara on Game Day, Sunday February 7. The 100 buses in service are Google's gBuses and will run on Neste’s renewable diesel. Operating between pick-up points spread throughout the Bay Area, the Fan Express has the potential to remove the equivalent of some 2,000 cars from the road.